What is the most beautiful moment in a woman’s life. I think the moment of motherhood that no other can experience is the most unique feeling on this Earth. Those nine months when they carry their baby in their womb are the most memorable months of their whole life. A woman actually takes rebirth after giving birth to her baby. So if you’re a woman and want to become a mother, you need to take care of yourself, such as about your periods, your menstrual cycle, your body, etc. But, in our daily routine and busy life, we forget to track about our periods and all those things related to that. So there is an app which I’m going to introduce you today! It’s called Inme, which is a period tracker, pregnancy and ovulation app. The app has been developed by llya Shapotkovski. Inme is compatible with iPhone, iPad and iPod touch having iOS 10.0 or any later version of the Operating System. So do you know how long is your cycle? You may not notice these things while having periods, but this is very important to be tracked. You should know whether it regular or irregular, because complications may arise if they are not regular. Regular means having periods after 28 days of a period every month. 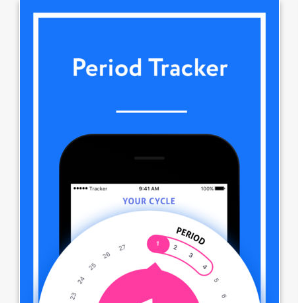 So this app will track everything related to your periods within a simple click. You just need to pick the default option (28 days) and then mark the 1st day of your periods. The app will then calculate your average period based on the data you entered and adjust this information every month. Also, you’ll get to know the expected date of the next period, ovulation and fertile days. The amazing thing about this app is that you can prepare both emotionally as well as practically for your period and plan ahead. If you want to track your cycle, then start with the first day of bleeding (menstrual cycle). You can count from the day onward, to the first day of bleeding in the next month and you’ll get the number of days of your cycle. For example- your period begins on the 5th of November, you have 6 days of bleeding, and then you don’t have another period until the 3rd day of December. It means that you have a 28-day cycle and your periods are regular. Sometimes, when you’re planning for a holiday and your period surprises you, then it becomes so irritating because it may spoil your enjoyment. But with the help of this app, your flow doesn’t catch you by surprise. If you want to be pregnant and are not on a method, then you can also see the predicted fertility windows to know when your body is more susceptible to pregnancy. So tracking daily events or changes in your body and mood helps you to understand what affects your cycle, and how that cycle affects your body too. 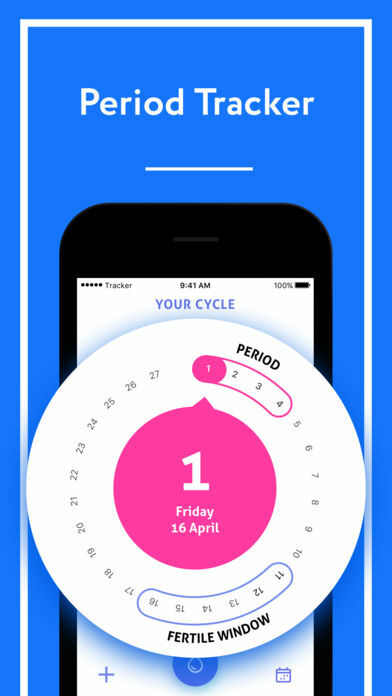 Overall, Inme is a great app for keeping track of your period and menstrual cycle and learn more about your body. The app is available for free on the iTunes Store. If you’re a guy then you should recommend it to the ladies around you, it’s really important for them! 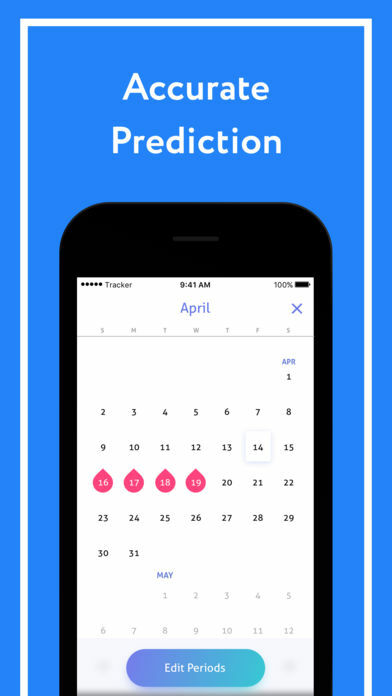 Pros: helpful for the ladies; period tracker; easy to use; great app; know more about your body; tracks next period, ovulation, and fertile days; free to use.